Thanks to efforts from a cadré of volunteers, this year's Countryside Nursery Quilt Show in Crystal Lake was a rousing success. The McHenry County Historical Society earned a record $453 from the quilt raffle. Thanks to everyone who helped set up the quilt, sell tickets and then pack everything up after the two-day sale. And, of course, a special thank you to Countryside Flower Shop, Nursery and Garden Center for hosting its 17th Annual Quilt Show. 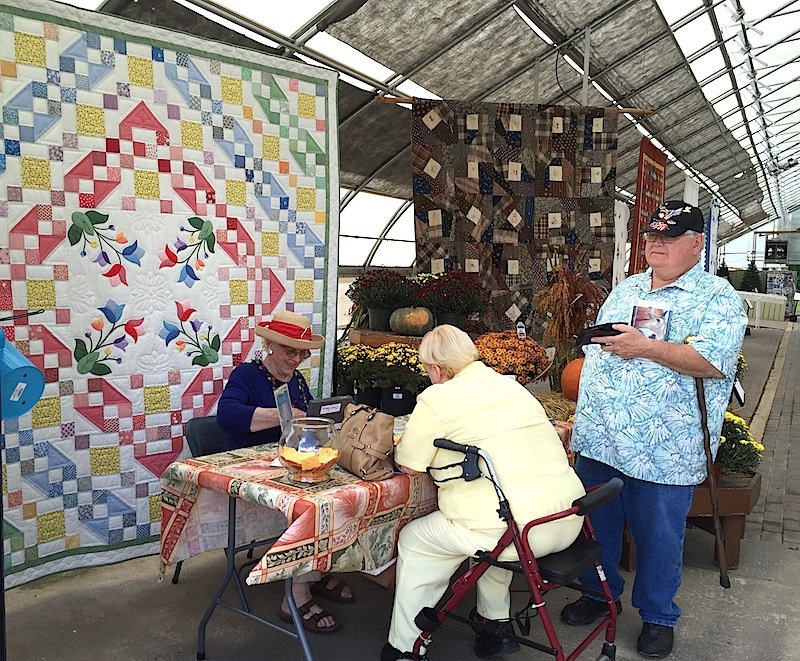 You still have an opportunity to purchase raffle tickets for the hand-stitched "Pieceful Garden" quilt, including at the Oct. 2 Cider Fest and during Autumn Drive, Oct. 16-18, at the corner of Garden Valley and Franklinville roads.